Hire the White Modesty Panel which is suitable for all our white desks and can be used in the office and exhibitions. 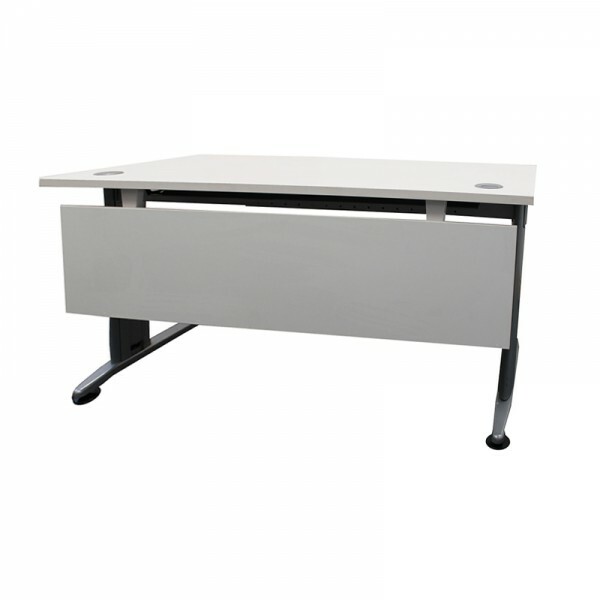 If you need cable management included, check out the White Wire Managed Rectangle Desk to keep your workspace tidy. Coming in white, it's contemporary, clean and versatile. Check out our range of office chairs to accompany this desk. Either use the desk as it comes, or there's the option of mobile storage, which is available separately. Ideal for the modern office, or exhibition; say hello to the White Height Adjustable Desk. Whet..
Our white flip top tables are a great space saving solution and are so versatile they can be used in..
• Stylish 3 drawer slimline mobile pedestal• Ideal for files and stationery• Lo..